Home / Search by Media Type / CD / Misha Nikolic: sketches from the train CDR promo RARE! free with orders of £60+ Martin Turner / Wishbone Ash guitarist. Misha Nikolic: sketches from the train CDR promo RARE! free with orders of £60+ Martin Turner / Wishbone Ash guitarist. Misha Nikolic joined Martin Turner’s band in May 2015, replacing Ray Hatfield. Originally from Serbia, Misha moved to London in the early 90’s where he won a scholarship at the prestigious Guitar Institute. He went on to become student of the year winning a special prize from Fender UK, a Fender Stratocaster that he has since put to good use in many recordings and live performances over the years. Misha spent his early musical years studying classical guitar and playing Eastern European folk music. He started performing live aged 13 and through this experience he gained confidence and the feel for music interpretation. During this time he became heavily influenced by British and American rock and blues artists, which provided the missing link to his musical journey. Known to his peers and mentors as a “music chameleon” he effortlessly blends these diverse styles into his own unique sound. His discography and brush with music business started at the early age of 16 when he released a single with his rock band for PGP Records (Belgrade, Serbia). Misha has a wealth of experience in all areas of performance, composition, music technology and world music. 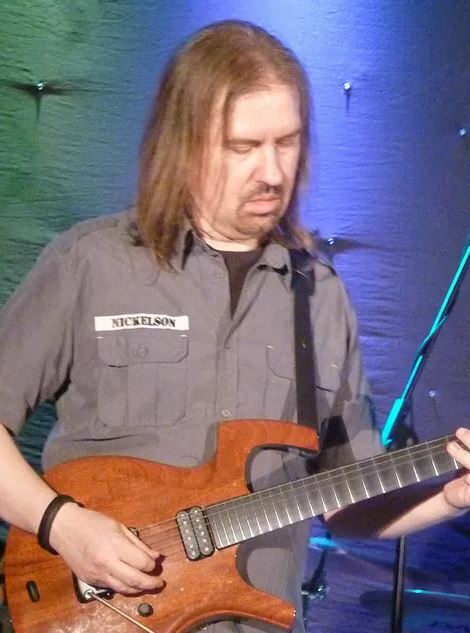 As well as being an accomplished and versatile guitarist, Misha is also a notable arranger/programmer, composer and music producer. His interests are not only confined to the artistic side but you will also find him credited for music mixing, mastering, audio restoration and sound design. Misha holds Masters degree in Composing for Film and TV and is an Apple certified Logic Pro trainer. Over the years he wrote many guitar oriented articles tor for Future Publishing (Total Guitar/Guitar Techniques/Guitarist). His credits include Mika, John West (Cosy Powell, Royal Hunt), Kate Robbins (Phoenix Nights, Spitting Image), Tony Hawks (comedian/musician) Antonio Forcione (Trilok Gurtu, Birelli Lagrene), Mike Teranna (Yngwie Malmsteen, Steve Lukather), Luciano Pavarotti, Harry Hill, 19 Management, Red Note, Hayley Westenra, Karen Ramirez, Christine Collister, Channi Singh – ‘The Godfather of Bhangra’ (Alaap), Feroz Khan (Bollywood Director/Producer/Actor), BBC, Channel 4 & ITV and many more.